Don’t you just love it when things come together just right? A while back, I posted information about my favorite subscription box from Greatist. Sadly, the subscription box service was recently discontinued. In a seemingly unrelated matter, I experienced a new challenge in my ongoing quest to eat clean and healthy: a lack of good, healthy and low-calorie snacks. Then, faster than you could say “Bibbidi-Bobbidi-Boo,” came Graze, a new subscription box that features healthy snacks and solves both of my problems! Choose the foods you want. You check out the selection of foods that could appear in your box and rate them as trash, try, like or love. With the Nibble Box, there are over 90 choices; with the Calorie Counter Box, which features snacks with 150 calories or less, there are over 50 choices. 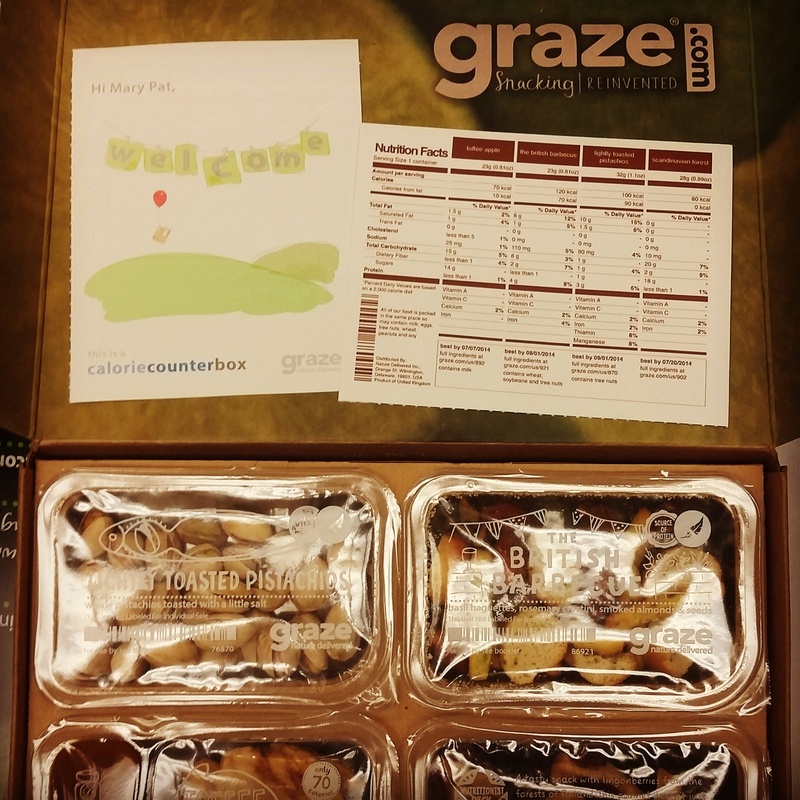 Tell Graze where to send your box. Since I have a hard time finding and/or packing good snacks for the work week, I have mine sent to the office. Graze mails your box via USPS weekly or every other week, a choice you make when you sign up. I chose weekly because I need snacks on a weekly basis, and $6 for healthy, portion controlled snacks is a deal and a half! You enjoy your snacks! Graze promises that their snacks contain no genetically modified ingredients, artificial flavors or colors, high fructose corn syrup or trans fats. I’m a couple of weeks into my Graze subscription, and I love it! It’s convenient, inexpensive and delicious. And every box I receive is a special treat especially for me! Commitment shy? You can try a one-time box without having a subscription. And if you subscribe and find it’s not for you, you can cancel with no penalty. This entry was posted in Food, Mary Pat Baldauf and tagged columbia sc, every woman blog, Famously Hot, food, healthy eating, lexington medical center., mary pat baldauf, Midlands Women, subscription boxes by Kate Gillmer. Bookmark the permalink.